I hope you all have a great Memorial Day weekend. Today is about Dunkirk and the events leading up to it. Lots of important history over the next two weeks in both the European and Pacific theatres. 1944 - USS England sinks fifth Japanese submarine in one week. There used to be a saying that there will always be a USS England in the US Navy but I am not sure if this is still true. 1952: The feasibility of the angled-deck concept is demonstrated in tests conducted on a simulated deck by Naval Air Test Center and Atlantic Fleet pilots using both jet and prop aircraft on board USS Midway (CVB 41). 1917 - First underway fueling in U.S. Navy, USS Maumee fuels 6 destroyers in North Atlantic. LCDR Chester W. Nimitz served as Maumee's executive officer and chief engineer. 1980 - 55 women become first women graduates from the U.S. Naval Academy. Germanicus of Rome celebrates his victory over the Germans. William of Ockham is forced to flee from Avignon by Pope John XXII. A new law bans Catholic priests from the colony of Massachusetts. The penalty is banishment or death for a second offense. Charles II and Louis XIV sign a secret treaty in Dover, England, ending hostilities between England and France. Jacob Leisler, leader of the popular uprising in support of William and Mary's succession to the throne, is executed for treason. British and Chickasaw forces defeat the French at the Battle of Ackia. The Russians defeat the Poles at the Battle of Ostroleka. A resolution is passed in the U.S. Congress stating that Congress has no authority over state slavery laws. The last Confederate army surrenders in Shreveport, Louisiana. President Andrew Johnson is acquitted of all charges of impeachment. The last czar of Russia, Nicholas II, is crowned. The House Committee on Un-American Activities begins its work of searching for subversives in the United States. The evacuation of Allied forces from Dunkirk begins. A patent is filed in the United States for the H-bomb. Union Square, San Francisco, becomes a state historical landmark. The civil rights activist group, Freedom Ride Coordinating Committee, is established in Atlanta. A U.S. Air Force bomber flies across the Atlantic in a record of just over three hours. Apollo 10 returns to Earth. The movie Star Wars debuts. Memorial Day is fast upon us. To most Americans, it's nothing more than a three day weekend bonanza of barbecues, beer, boating and the beach. A graduate of the Army's elite Rangers School, Kruger served at the Pentagon, in Korea and with Special Forces in Afghanistan. 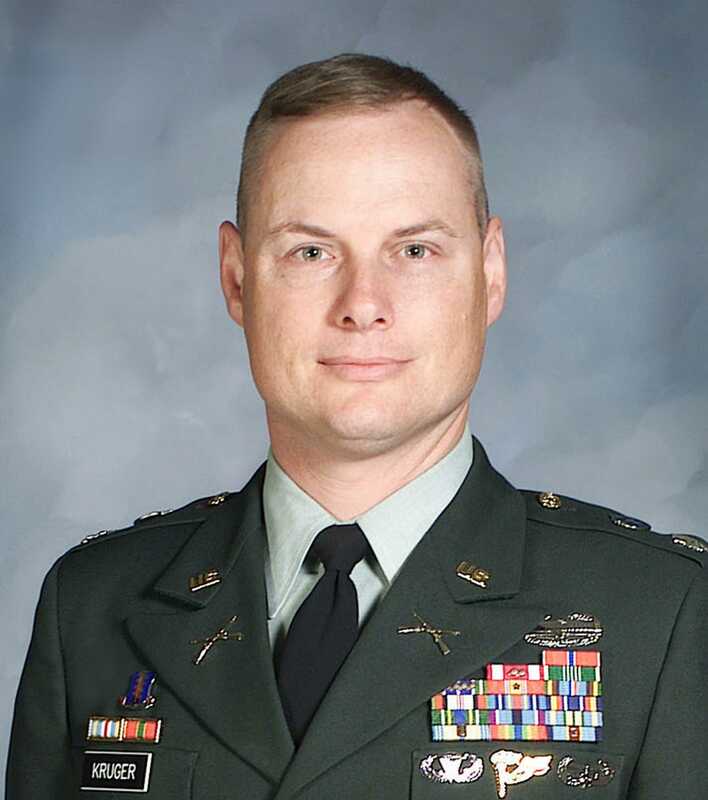 He volunteered to go to Iraq to serve as the deputy commander of the 2nd Brigade Combat Team, 2nd Infantry Division of Fort Carson, Colorado, where he started his career as a second lieutenant. When Kruger and I were at SMU, the student population hovered around 10,000. You would think that at a conservative university in Texas with a student body of 10,000, you might have a sizable ROTC detachment. Wrong. The SMU 'Mustang Battalion' comprised anywhere from five to a dozen cadets and one very frustrated and bored Captain Phil Migliore, who had just been transferred to SMU from the 82nd Airborne. Migliore was also a Ranger, who seemed to spend most of his time flirting with gorgeous coeds in sorority shirts. The kids at SMU had obviously been told by their parents to avoid the military like the Bubonic Plague. SMU students were there to become bankers, oil traders, CPAs, lawyers; jobs where you could earn well over six figures. The military with its lousy pay and blue collar reputation wasn't even an option for the little JR Ewings of that era. The response from most SMU people when an ROTC cadet told someone on campus that they wanted to be an army officer was, 'Are you out of your mind?' The attitude of SMU kids at the time was the same as it is today among America's wealthy; the upper class was AWOL from the US military. ROTC was divided into lectures where we would learn about topics like military law and the organization of a rifle company or sometimes we'd convince Migliore to let us watch a war movie like Red Dawn or one of Chuck Norris' Missing in Action flicks. ROTC 'labs' were outdoor events where we would practice land navigation in local forest preserves or rappel from the top of the SMU six story parking garage, which usually drew quite a crowd, particularly females who wanted to learn the ropes…no pun intended. For a brief shining moment, ROTC was cool. Kruger served a total of three tours in Iraq and Afghanistan, which is a testament to the man's courage and dedication and love of the army. 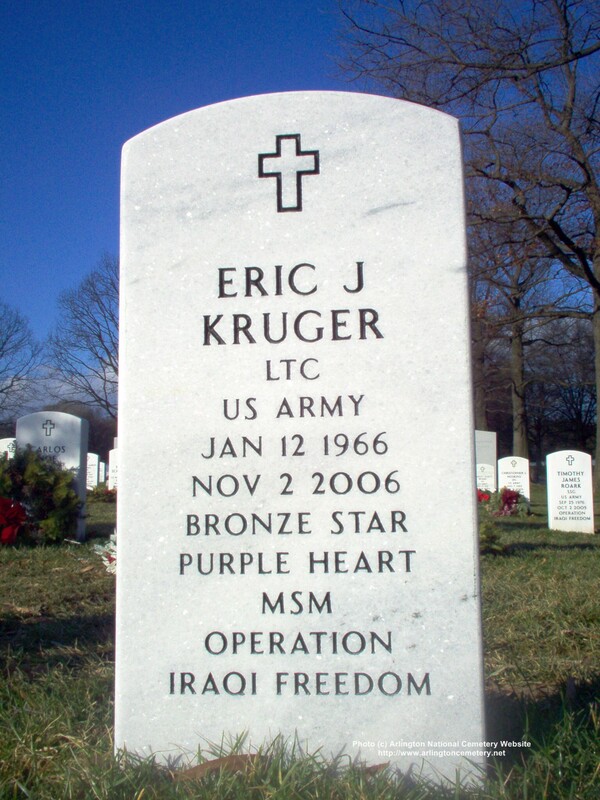 For Kruger, going to war, was his job, something for him as normal as a civilian going to their safe cubicle. If he were here today, he would knock once, come into my place, steal my last beer, and with his feet up on my coffee table, search for a war movie on cable. He would wonder what all the fuss was about. He wouldn't think he was a hero. He was just a regular guy doing his duty. This is probably more history surrounding Dunkirk then you might want but there is some very interesting history in many of the sites below like the The Heligoland Bight which determined the way that bomber command would approach the rest of the war by doing most of their flying at night. It was this day in 1940 and the Germans had pushed the British Army to the water's edge at Dunkirk. Prime Minister Churchill appealed to anyone who had a boat that could cross the English Channel to go and bring the soldiers home. They put to sea and brought several hundred thousand home and lived to fight another day. British troops evacuating Dunkirk's beaches. Many stood for hours in shoulder-deep water, waiting to board the vessels. The Dunkirk evacuation, commonly known as the Miracle of Dunkirk, code-named Operation Dynamo by the British, was the evacuation of Allied soldiers from the beaches and harbour of Dunkirk, France, between 27 May and the early hours of 4 June 1940, because the British, French, and Belgian troops were cut off by the German army during the Battle of Dunkirk in the Second World War. The evacuation was ordered on 26 May. In a speech to the House of Commons, Winston Churchill called the events in France "a colossal military disaster", saying that "the whole root and core and brain of the British Army" had been stranded at Dunkirk and seemed about to perish or be captured. In his We shall fight on the beaches speech on 4 June, he hailed their rescue as a "miracle of deliverance". On the first day, only 7,011 men were evacuated, but by the ninth day, a total of 338,226 soldiers (198,229 British and 139,997 French) had been rescued by the hastily assembled fleet of 850 boats. Many of the troops were able to embark from the harbour's protective mole onto 42 British destroyers and other large ships, while others had to wade from the beaches toward the ships, waiting for hours to board, shoulder-deep in water. Others were ferried from the beaches to the larger ships, and thousands were carried back to Britain by the famous "little ships of Dunkirk", a flotilla of around 700 merchant marine boats, fishing boats, pleasure craft and Royal National Lifeboat Institution lifeboats—the smallest of which was the 18 ft (5.5 m) fishing boat Tamzine, now in the Imperial War Museum—whose civilian crews were called into service for the emergency. The "miracle of the little ships" remains a prominent folk memory in Britain. Operation Dynamo took its name from the dynamo room in the naval headquarters below Dover Castle, which contained the dynamo that provided the building with electricity during the war. It was in this room that British Vice Admiral Bertram Ramsay planned the operation and briefed Winston Churchill as it was under way. Due to war-time censorship and the desire to keep up the morale of the nation, the full extent of the unfolding "disaster" around Dunkirk was not publicised. However, the grave plight of the troops led King George VI to call for an unprecedented week of prayer. Throughout the country, people prayed on 26 May for a miraculous delivery. The Archbishop of Canterbury led prayers "for our soldiers in dire peril in France". Similar prayers were offered in synagogues and churches throughout Britain that day, confirming the public suspicion of the desperate plight of the troops. Initial plans called for the recovery of 30,000 men from the British Expeditionary Force (BEF) within two days, at which time it was expected that German troops would be able to block further evacuation. Only 25,000 men escaped during this period, including 7,000 on the first day. Ten additional destroyers joined the rescue effort on 26 May and attempted rescue operations in the early morning, but were unable to closely approach the beaches, although several thousand were rescued. However, the pace of evacuation from the shrinking Dunkirk pocket steadily increased. On 29 May 47,000 British troops were rescued in spite of the first heavy aerial attack by the Luftwaffe in the evening. The next day, an additional 54,000 men were embarked, including the first French soldiers. 68,000 men and the commander of the BEF—Lord Gort—evacuated on 31 May. A further 64,000 Allied soldiers departed on 1 June, before the increasing air attacks prevented further daylight evacuation. The British rearguard left the night of 2 June, along with 60,000 French soldiers. An additional 26,000 French troops were retrieved the following night before the operation finally ended. Two French divisions remained behind to protect the evacuation. Though they halted the German advance, they were soon captured. The remainder of the rearguard, largely French, surrendered on 3 June 1940. The next day, the BBC reported, "Major-General Harold Alexander [the commander of the rearguard] inspected the shores of Dunkirk from a motorboat this morning to make sure no-one was left behind before boarding the last ship back to Britain." Most of the "little ships" were private fishing boats and pleasure cruisers, but commercial vessels also contributed, including a number from as far away as the Isle of Man and Glasgow. Guided by naval craft across the English Channel from the Thames Estuary and Dover, these smaller vessels were able to move in much closer to the beaches and acted as shuttles between the shore and the destroyers, lifting troops who were queuing in the water, some of whom stood shoulder-deep for many hours to board the larger vessels. Thousands of soldiers were also taken in the little ships back to Britain. Thirty-nine Dutch coasters—which had escaped the occupation of the Netherlands by the Germans on 10 May—were asked by the Dutch shipping bureau in London to assist. The Dutch coasters—able to approach the beaches very closely due to their flat bottoms—saved 22,698 men for the loss of seven boats. Nineteen lifeboats of the Royal National Lifeboat Institution (RNLI) sailed to Dunkirk. Those from the lifeboat stations at Ramsgate and Margate were taken directly to France with their usual volunteer crews, but the others sailed to Dover where they were requisitioned by the Royal Navy, which provided the crews. Some of the RNLI crews remained behind in Dover and set up a workshop to repair and fuel the little ships. One lifeboat—The Viscountess Wakefield—was lost after it was run onto the beach at Dunkirk. The Jane Holland was holed when a motor torpedo boat rammed her and her engine failed after being machine gunned by an aircraft. She was abandoned but later found adrift, towed back to Dover and repaired. She returned to service on 5 April 1941. The Cyril and Lilian Bishop (RNLI Official Number 740) a 35 ft 6 in (10.82 m) self-righter from Hastings. Jane Holland 40 ft (12 m) Self-righter from Eastbourne. The Michael Stevens (ON 838) a 46 ft (14 m) Watson Class from Lowestoft. The Viscountess Wakefield (ON 783) a 41 ft (12 m) Watson Class from Hythe, Kent. Thomas Kirk Wright (ON 811) a 32 ft (9.8 m) Surf Class from Poole. Unnamed ON 826, a 35 ft (10.668000 m) newly built Self-righter. She was repaired then entered service in 1941 at Cadgwith with the name Guide of Dunkirk. Mary Scott Launched in 1925, length 46 ft 6ins, beam 12 ft 9ins, draught 3 ft 3ins. Then at Southwold, the Mary Scott was towed to Dunkirk by the paddle steamer Empress of India together with two other small boats. Between them they took 160 men to their mother ship, they made a journey with fifty men to another transport vessel. She was abandoned on the beach, recovered and returned to service with the R.N.L.I. at Southwold. Dowager Launched 1933, as the Rosa Woodd and Phyllis Lunn. length 41 ft, beam 11 ft 8ins, draught 3 ft 6ins. Based at Shoreham she made 3 trips between Dover and Dunkirk. Stenoa Launched 1929, as Cecil and Lilian Philpott. length 45 ft 6ins, beam 12 ft 6ins, draught 4 ft 6ins. Then at Newhaven, she saved 51 persons from the beach at Dunkirk. Then returned to R.N.L.I. service at Newhaven. Despite the success of the operation, all the heavy equipment and vehicles had to be abandoned. Left behind in France were 2,472 guns, almost 65,000 vehicles and 20,000 motorcycles; also abandoned were 416,000 short tons (377,000 t) of stores, more than 75,000 short tons (68,000 t) of ammunition and 162,000 short tons (147,000 t) of fuel. 30,000–40,000 French troops were captured in the Dunkirk pocket. Item Number:1 Date: 05/26/2017 AFGHANISTAN - TROOPS HOLD THE FORT AFTER TALIBAN ATTACKS ARMY BASE IN KANDAHAR (MAY 26/AFP) AGENCE FRANCE-PRESSE -- A Taliban attack against an Afghan army base in the southern province of Kandahar has left at least 15 soldiers dead and another five wounded, said the Defense Ministry, as reported by Agence France-Presse. The attack occurred on Thursday night in the Shah Wali Kot district, said a ministry spokesman on Friday. The government forces did not give up control of the base, the spokesman said. The Taliban claimed responsibility for the attack. Taliban insurgents have stepped up their attacks as part of their annual spring offensive. Ten Afghan soldiers were killed earlier this week when militants stormed another base in the same area, noted the BBC. Item Number:2 Date: 05/26/2017 BRAZIL - AFTER DRAWING PUBLIC IRE FOR DEPLOYING TROOPS TO BRASILIA, PRESIDENT RECALLS THEM (MAY 26/UPI) UNITED PRESS INTERNATIONAL -- Soldiers are no longer patrolling the streets in Brazil's capital. On Thursay, President Michel Temer recalled the troops that he had deployed a day before to guard government buildings in Brasilia, reports UPI. On Wednesday, protesters demanding that the president resign clashed with security forces in the capital and set fire to the Agriculture Ministry. Temer ordered 1,500 troops to restore order. The response was widely criticized as being excessive, noted Deutsche Welle. The deployment was initially expected to last for a week. "The halt to acts of destruction and violence and the subsequent reestablishment of law and order" led to the decision to withdraw the soldiers, said Temer. Item Number:5 Date: 05/26/2017 EGYPT - ASSAILANTS SPRAY BUS CARRYING COPTIC CHRISTIANS WITH AUTOMATIC FIRE, KILLING MORE THAN 2 DOZEN (MAY 26/DAILYMAIL) DAILY MAIL -- Egyptian officials say gunmen have attacked a bus carrying Coptic Christians in the southern part of the nation, killing at least 26 people and wounding dozens, reports the Daily Mail (U.K.). A group of eight to 10 masked attackers wearing military uniforms stopped a convoy on Friday in Minya province about 155 miles south of Cairo while it was en route to the St. Samuel Monastery. They sprayed the bus with automatic weapons and then fled, said authorities cited by AFP. Casualties have been reported variously as more information becomes available. There was no immediate claim of responsibility. The Islamic State has claimed previous attacks on Egypt's Christian minority, including church bombings in December and April. Item Number:14 Date: 05/26/2017 PHILIPPINES - FIGHTING IN MARAWI REPRESENTS 'INVASION BY FOREIGN TERRORISTS,' SAYS SOLICITOR GENERAL (MAY 26/VOA) VOICE OF AMERICA NEWS -- The Philippine government has acknowledged that foreign jihadists are nvolved in the ongoing battle between Islamists and security forces in the country's south, reports the Voice of America News. Fighting began Tuesday in Marawi City on Mindanao Island when police raided an apartment in search of Abu Sayyaf leader Insilon Hapilon. The militants called in reinforcements from the Maute Group. The Maute took hostages and torched buildings. On Friday morning, government ground troops, supported by attack helicopters and special operations forces, launched an offensive intended to flush out the remaining militants, reported Reuters. At least 11 soldiers and 31 militants have been killed, say officials. Also on Friday, Philippine officials said that foreigners from Indonesia and Malaysia were among the militants killed, reported the Philippine Star. "What's happening in Mindanao is no longer a rebellion of Filipino citizens," said Solicitor General Jose Calida . He called the fighting an "invasion by foreign terrorists, who heeded the call of ISIS to go to the Philippines if they find difficulty in going to Iraq and Syria." Item Number:18 Date: 05/26/2017 USA - MORE MISSILE INTERCEPTORS TO BE DEPLOYED TO FORT GREELY, ALASKA (MAY 26/UPI) UNITED PRESS INTERNATIONAL -- The Dept. of Defense plans to install eight more ground-based interceptor missiles at Fort Greely, Alaska, as part of efforts to protect against potential North Korean threats, reports United Press International. The sea-based X-band radar will also be modernized to better support missile defense operations, reported Japan's NHK television network. A total of 44 ground-based interceptor missiles, part of the Ground-based Midcourse Defense (GMD) system, will be stationed in Alaska to "improve protection against North Korean and potential Iranian [intercontinental ballistic missile] threats as they emerge," said the U.S. Missile Defense Agency. An X-band radar deployed to Japan will also be upgraded to improve its ballistic missile tracking capabilities. Pyongyang has claimed to be testing a weapon with a range of 2,500 miles (identified by some experts as the Hwasong 12). A weapon with that range could hit Guam, Hawaii or Alaska, as noted recently by the Daily Mail (U.K.). Item Number:19 Date: 05/26/2017 USA - USAF WANTS 1,600 MORE FOR COMMAND SUPPORT STAFFS (MAY 26/AFT) AIR FORCE TIMES -- The U.S. Air Force wants to add around 1,600 military and civilian personnel to the service's commander support staffs over the next five years to try and reduce the pressure on squadrons, reports the Air Force Times. By fiscal 2022, the service hopes to add 170 officers, 469 enlisted personnel and 961 civilians, bringing the total number of command support staff to more than 6,300, according to Brig. Gen. Stephen Davis, the director of manpower, organization and resources. The increase of 1,600 staff is needed to strengthen squadrons, which has been identified as a key priority by Gen. Dave Goldfein, the Air Force chief of staff. In a first step, the service sought to reduce additional duties assigned to airmen. A review eliminated, reassigned or reduced 29 of the 61 duties studied. Many of those duties were reassigned to commander support staffs. Accordingly, the Air Force is trying to assure that those staffs are adequately funded and staffed to handle the additional work. Having more support personnel should relieve pilots of administrative duties and give them more time to train. Maintainers are also expected to be able to spend more time fixing aircraft, Maj. Gen. James Martin, the deputy assistant secretary for budget, said at a Pentagon briefing on Tuesday. The squadrons with the greatest need for help will be prioritized when new support staff are assigned, according to an Air Force release. Item Number:20 Date: 05/26/2017 VIETNAM - HANOI TAKES DELIVERY OF DECOMMISSIONED U.S. COAST GUARD CUTTER MORGENTHAU (MAY 26/REU) REUTERS -- Vietnam has a new coast guard cutter, courtesy of the United States. The U.S. Coast Guard transferred a high-endurance cutter to Vietnam in Hawaii as part of an effort to deepen ties between the nations, reports Reuters. The former USCGC Morgenthau was handed over on Thursday during a ceremony in Honolulu, said the U.S. Embassy in Hanoi. The Morgenthau was decommissioned in April as part of recapitalization efforts during a ceremony at Coast Guard Base Honolulu. Its nearly 50 years of service, included action in the Vietnam War, the USCG noted at the time. The vessel, which will be renamed CSB 8020, will help the Vietnamese coast guard carry out maritime law enforcement, search-and-rescue operations and other humanitarian aid missions, said the embassy. The transfer was part of the U.S. Excess Defense Articles program that provides excess military equipment to U.S. partners and allies, noted the embassy. This transfer came after the U.S. delivered six Metal Shark patrol boats to Vietnam earlier this week.